These women planned ahead with long term care policies so they can relax and enjoy the moments that are most important. Because they love the ones they would leave behind. If you become disabled and cannot work, how will you support your family? 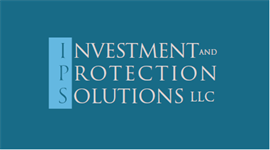 Investment & Protection Solutions is an affiliated BGA, with a unique approach to bringing the greatest amount of carrier relationships and product selection to our financial advisor partners. We have agreements with several of the largest IMOs in the business, and are able to provide one of the deepest lineups of products and strategies anywhere. Our financial professional partners enjoy a robust compensation structure. In addition, we are able to provide a vast selection of marketing programs, proprietary software, and resources to help you provide the best experience for you and your staff, as well as your most valued clients. Your client has a lump sum of cash they don’t expect to use and want to leave this as a legacy to their family. Discover how a single premium life policy can leverage your assets to provide a greater legacy for your family. Your client is amazed at how great of a year they have had and expect to repeat in coming years as well. They are happy to pay their fair share, but also want to utilize strategies to legally reduce their tax bill as much as they can. Please contact us to discuss how we might be able to help. Need An Advisor? We work with the very best and we’re happy to introduce you.